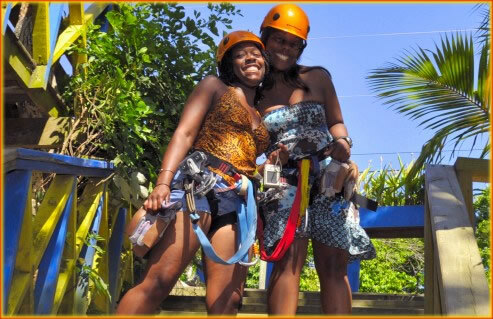 At South Shore Canopy Tour, Safety is our number one priority. You are under the constant care and supervision of our highly qualified, hand-picked staff who have received over 200 hours of formal training in Canopy Tour operations and safety techniques. We use the highest quality equipment that is available on the market today. We use double cables that are specially designed by expert engineers, to make this thrilling adventure one of safest available to tourists on Roatan. 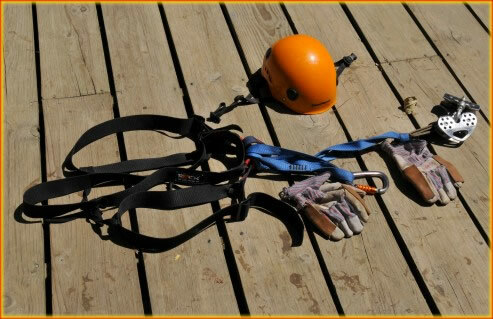 You are equipped with a high-tech harnesses, gloves and a helmet to insure your safety. This equipment is rigorously inspected and constantly maintained so all you have to think about is FUN! Traveling to Roatan Island to enjoy paradise means resting and relaxing, but it also means fun adventure. While on vacation, sometimes things can go wrong. That is why South Shore Canopy Tours takes extra precaution to be insured by and Certified by: Seeuros Del Pais Insurance. 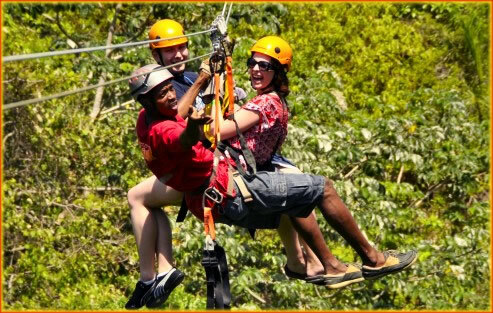 South shore Canopy Tours has taken these precautions due to the high number of tourists annually performing this activity. Between the two cables they are able to handle 18,000 - 20,000 lbs of pressure. We also use double caribeaner hooks with a twist and turn lock that prevents any accidental unlocking during the glide. The maximum length of a cable is 1300 ft and the highest point is over 100 ft. If you have any questions concerning your safety, please do not hesitate to contact us.